After changes of leadership and of government in Canberra, those of us who work on Pacific island issues are usually inclined to be optimistic. We hope that the incoming Australian Prime Minister and Foreign Minister might care more about the Pacific, might be inclined to spend more time in the region, might have more empathy with their Pacific island counterparts and might develop constructive policies. The initial period of Kevin Rudd’s first term as Prime Minister and Julie Bishop’s term as Foreign Minister offered rewards for that optimism as both demonstrated a capacity to listen and to engage with their Pacific counterparts, to visit more frequently than their predecessors, and to develop new policies. They had both spent their time in opposition getting to know the region and preparing policy options. Importantly, both assumed their roles at a time when the region was arguably ready for a change in approach from Australia and welcomed new styles of engagement. Pacific island governments are much less concerned than Australia and New Zealand are about China’s interest in their countries. 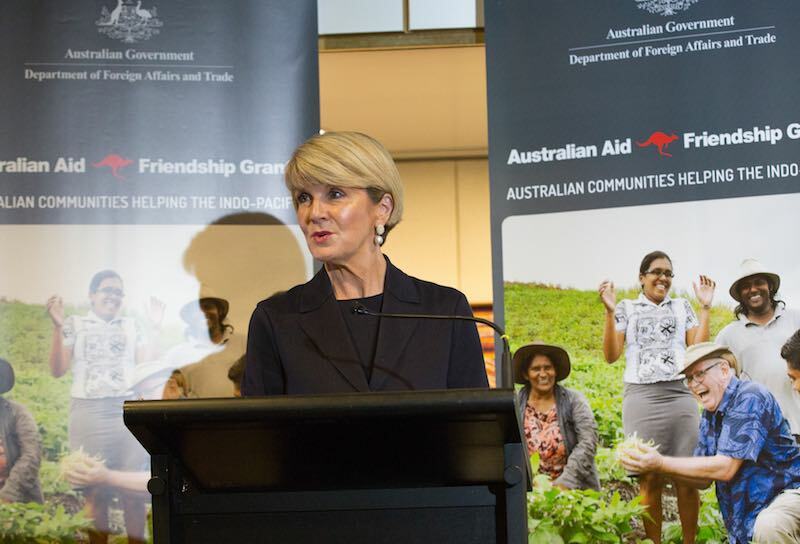 Julie Bishop leaves a strong legacy in the Pacific. She made the “step-up” in engagement with the Pacific a high priority in the 2017 Foreign Policy White Paper. She supported and expanded the Seasonal Worker Program in Australia for the region created by the Labor government and introduced a new Pacific Labour Scheme with a Pacific Labour Facility – fulfilling long-term demands from Pacific island countries for more access to work opportunities in Australia. She encouraged a strong focus on women’s rights in the aid program and although she oversaw savage aid cuts during her term, she did protect the Pacific Islands from the worst of these. Bishop could have done more to promote the rule of law, condemn corruption, and support the importance of a free media in the region. The governments of Papua New Guinea and Nauru have openly disregarded the basic principles of the rule of law in recent years, and many Pacific island governments restrict media freedoms. The Australian government’s pressing need to maintain asylum seeker detention centres in Manus and Nauru constrained Bishop’s ability to criticise the governments of Peter O’Neill and Baron Waqa. But she may also have been reluctant to engage the Australian “megaphone” after observing the results of Alexander Downer’s and Kevin Rudd’s public criticism of several Pacific islands leaders, and ultimately Bishop wanted to maintain good working relationships. Her parting gift was to ensure that her replacement was Marise Payne – perhaps the only person on the front bench who Bishop could rely on to protect the good work she had done in the region. Payne is more sympathetic than most of her cabinet colleagues to the concerns of Pacific island nations, understands the significance of the climate change threat to the region, and is realistic about what Australia can achieve. But the timing and circumstances of Payne’s appointment as Foreign Minister and her party’s policy vacuum on climate change are likely to hamper her chances of success in pursuing Australia’s interests in the Pacific. 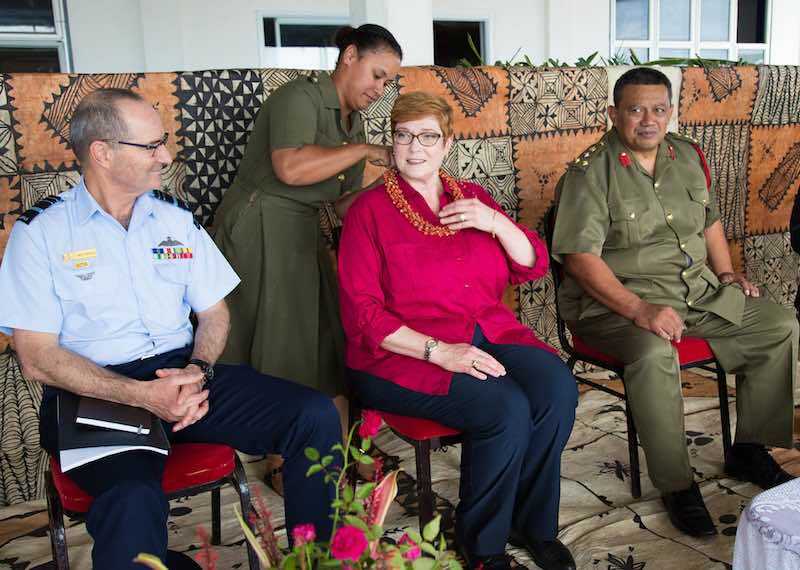 Payne is representing Australia at the Pacific Islands Forum leaders’ meeting in Nauru this week but has little room for policy manoeuvre and almost no time to develop relationships with counterparts on her own terms as Foreign Minister. She will be negotiating with leaders who are openly despairing and disparaging of Australia’s climate change policy, whose priorities for regional security differ markedly from Canberra’s, and who welcome China’s interest in their countries. Pacific Islands Forum leaders will this week negotiate a declaration known as Biketawa Plus, which will expand the region’s security priorities to encompass a greater focus on human security, environmental security, building resilience to the impact of natural disasters and climate change. While Australia cannot dismiss the importance of these issues to the region, it is becoming clear that Canberra’s regional security priorities are at odds with those of the island states. Australia is the largest aid donor, investor and trading partner in the region, but is increasingly anxious about the growth of Chinese influence in the region. Security concerns about China’s telecoms giant Huawei led Canberra to sign agreements with Solomon Islands and Papua New Guinea to build undersea internet cables. Australian government ministers have been cautioning their Pacific counterparts about the risk of Chinese loans creating debt traps. Bishop, along with her New Zealand counterpart Winston Peters, had pushed the UK, France and the US to expand their diplomatic presence and aid in the region as a means of countering China’s influence. Pacific island governments are much less concerned than Australia and New Zealand are about China’s interest in their countries. Most seek out and welcome China’s interest in financing much needed infrastructure and in funding assistance for health and appreciate Beijing’s understanding of the climate change threat. The Tongan Prime Minister Akilisi Pohiva is concerned about his country’s debt levels, but other leaders do not believe they have signed up to any debt traps and resent Australia’s insinuation they cannot manage their own economic affairs. Australia wants to convince Pacific island governments that they need to be more alert to the strategic threat posed by China. 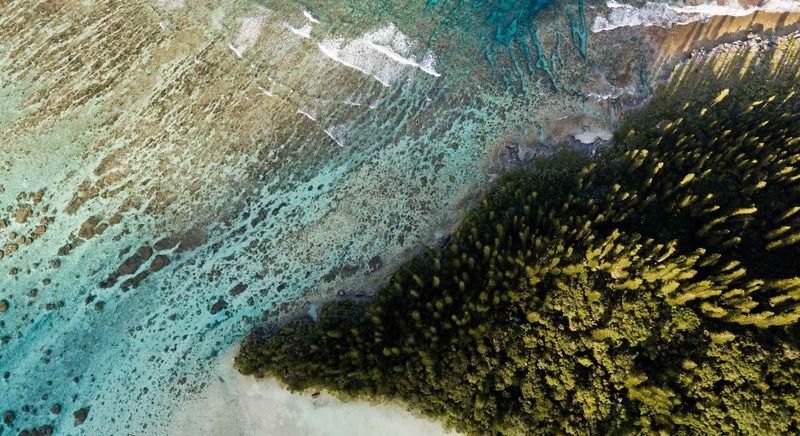 Pacific island governments want to convince an Australian government with no policy on reducing carbon emissions that climate change is an existential threat to their populations, and the primary threat to regional security. The Pacific Islands Forum has usually been able to paper over policy differences between Australia (and New Zealand) and island states in order to portray a sense of regional solidarity. But the dynamics are a little different now. Island states, with other aid and investment partners available to them, have more leverage over Australia and New Zealand. With Australia’s credibility on climate change at its lowest ebb, it is not in a strong position to assert its interests in the region. Leaders in Nauru this week will issue their Biketawa Plus Declaration as expected, but whether it will deliver the change in approach the island states want from Australia under the Morrison government is another matter.